The H.B. Glover Company was founded in Dubuque, Iowa in 1857. They grew rapidly from the 1870s through to the turn of the century. 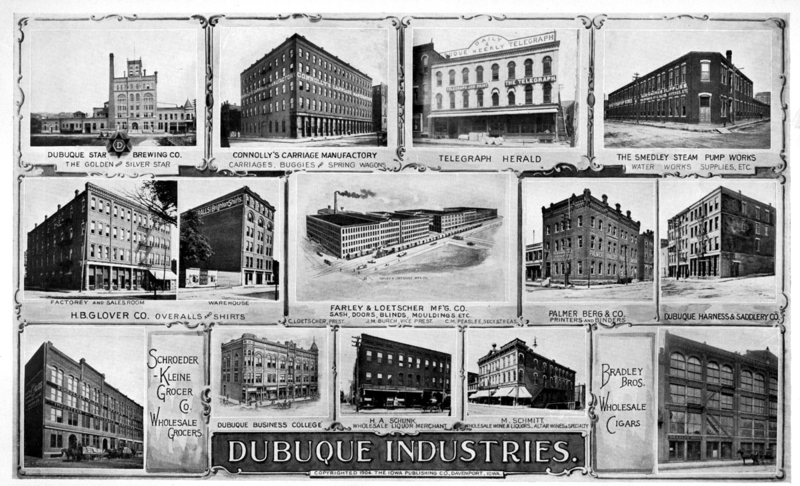 Early on, the company was known for their Pajamas, but they quickly added shirts, overalls, and other items of workwear to their product line. By 1913, Glover was one of the top selling overall brands. 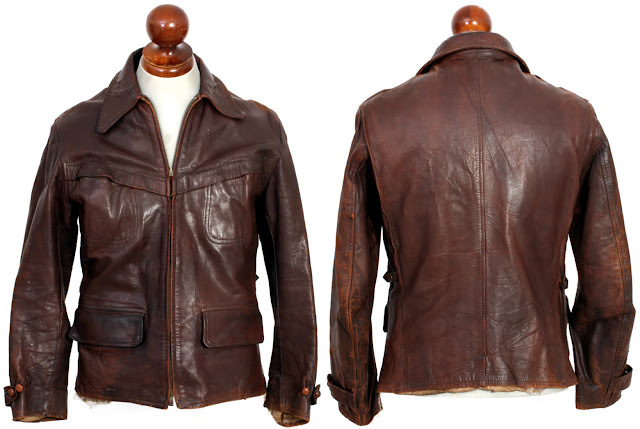 By the 1920s, Glover introduced leather jackets. 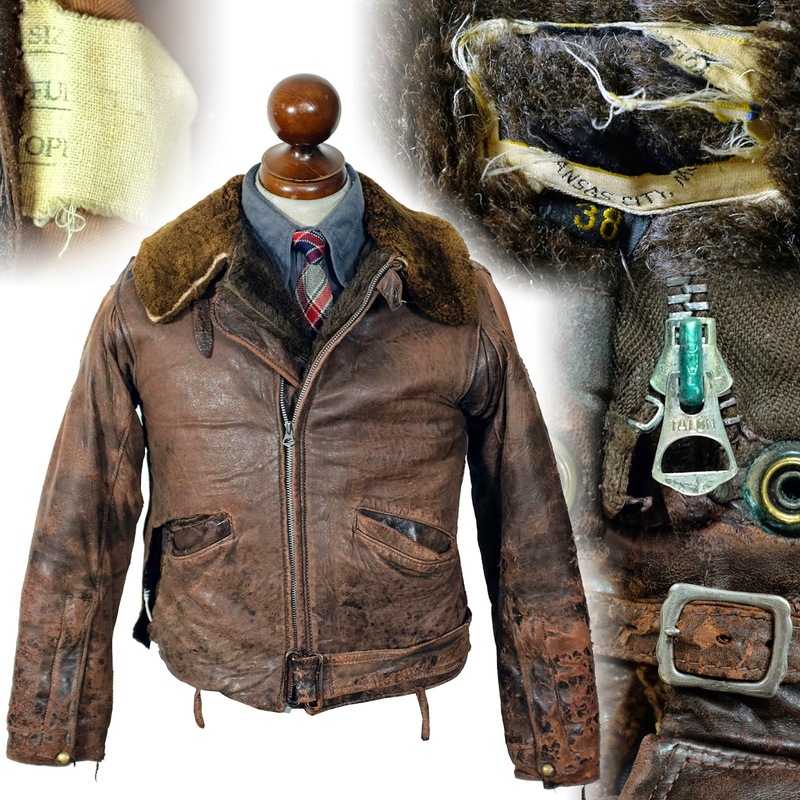 Depending on the jacket ads and labels read "Tailored By Glover", "H.B. Glover", or "Glover Sportswear". 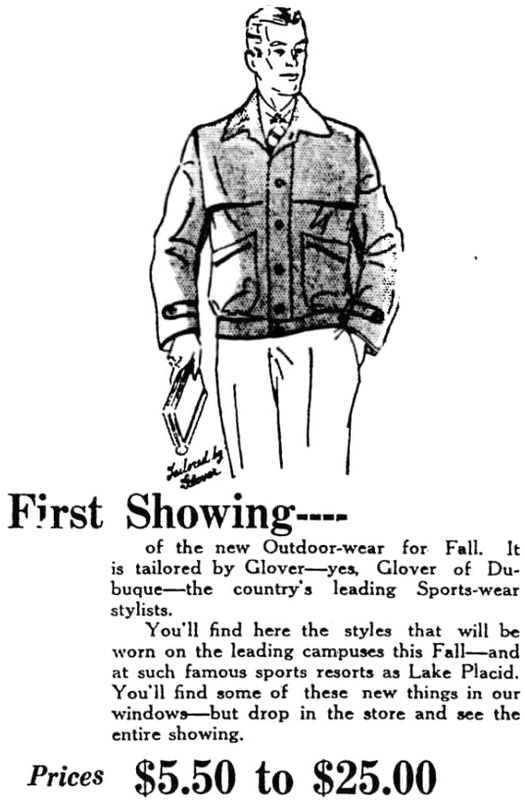 Glover had an endorsement deal in 1925 with the "Four Horsemen" of the Notre Dame football team, who sported their leather blouses (jackets). According to the 1936 article "World of Romance Behind Glover Company Products", Glover took great pride in their materials. "Most of the raw materials used in Glover Sportswear (Jackets, Coats, Ski Pants, Snow Suits, etc.) originate in the West and the Glover company in selling its goods is emphasizing this very fact. Wool from Wisconsin, Montana, the Dakotas; Mohair from Del Rio and San Angelo; Sheel leather, Horsehide, Piggrain, etc., from the great plains . . . all these find their way into Glover Sportswear. And yet not all grades of woolens and leathers are good enough for Glover garments. The selected Western Range Woolens, for example, are chosen with infinite care. The choicest portion is bought right on the range, direct from the sheep raiser, thereby eliminating costly brokerage fees and the handling of the wool in dirty, crowded warehouses."